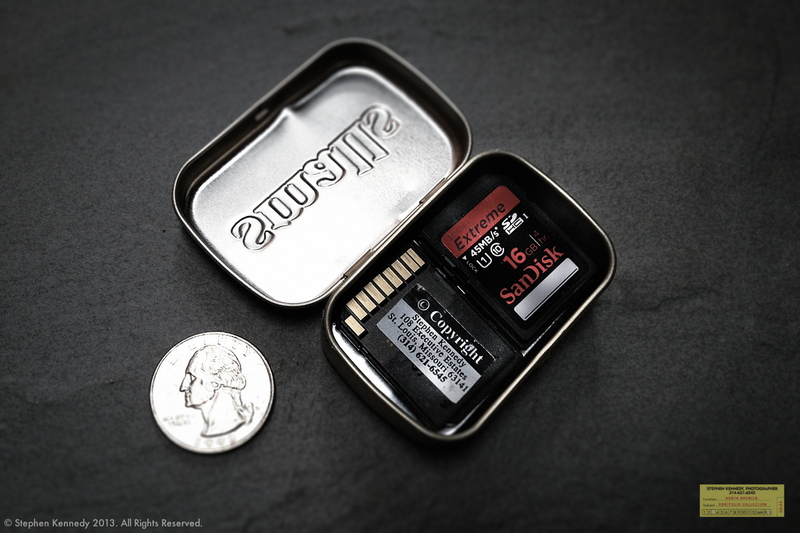 A shiny quarter, an old Altoids tin and half dozen data cards with the capacity for 5,000 high resolution pictures. When combined with a camera, these three unrelated items can sustain me for just the right amount of time. If you’re wondering what I can get with a quarter, the answer is 15 minutes in a parking meter which is more than enough time for me to make something interesting happen. What three ingredients do you have for similar sustenance?